Q-1. What is SAP Education? Q-2. What is SAP training? How different is it? What relevant course should I take? Q-3. What are the prerequisites to pursue an SAP module? Q-4. Who can pursue SAP training? Q-5. I am interested to be a SAP Consultant. What relevant course should I take? Q-6. Several companies/training institutions offer SAP training with guaranteed placements, are these trainings genuine and are the certificates valid? Q-7. Can I take up the certification examination alone, if I have undertaken SAP Training in other institutions (other than the SAP Partners)? Q-8. Does SAP offer part-time courses? Q-9. Does SAP provide placements after successful completion of training? Q-10. What is the course fee? Q-11. Will accommodation be provided? Q-12. Is the course theoretical or hands on? Q-13. Why do I need the SAP R/3 application consultant certification? Q-14. What is the format of the examination? Q-15. What level of knowledge is tested? Q-16. What is the objective of the examination? Q-17. How will I know if I have passed? Q-18. Can I retake the exam? The SAP Solutions Academy is the most comprehensive and cost effective training offered for all SAP R/3. Regardless of whether you have an exposure to SAP or not, the Academy offers courses that help to develop and enhance your skills. The Academy delivers a hands-on classroom environment followed by an intensive case study to discuss implementation requirements of R/3 Systems. The Academy ends with a certification where your acquired skills of SAP are tested and evaluated by SAP, which is a benchmark to enter the SAP industry. SAP Training develops skills and experience in the practical management and application of technology. It is for everyone - from everyday users to senior management. The SAP SOLUTION ACDEMY is the best route for those who wish to gain knowledge and become a Certified Consultant in SAP. Apart from Orion Computech PVT LTD. which is an authorized SAP Education Partner offering functional training for SAP ERP 6.0. 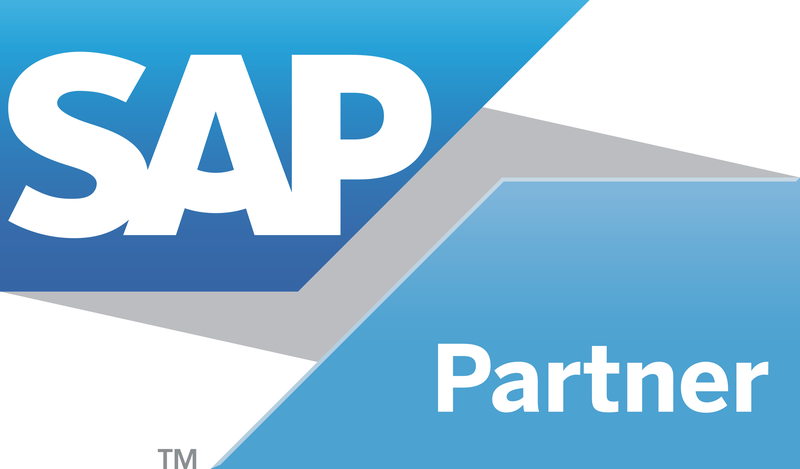 We would strongly advise people not to go to institutes that are not authorized SAP Education Partners. Training provided by them is not recognized by SAP and its partners/customers. SAP does not recognize trainings undertaken at any institute other than SAP Education Partners. Certification is not available to such candidates. Courses offered by us are on full-time and part-time basis. Also, on-line trainings are available for candidates with rich experience with the possibility of taking up flexible hours. Q-9.Does SAP provide placements after successful completion of training? Please contact the counselor at our centre. Additional service taxes are applicable. Students have to make their own accommodation arrangements. SAP Training is a combination of theory and practice on the systems. Candidates are connected to SAP servers for completing their exercises. SAP offers consultants the opportunity to obtain recognition of their SAP System knowledge by taking a Certification Test. The certificate provides customers with assurance that the consultant has passed the SAP Project know-how, which is required to successfully implement SAP for customers. Certified SAP consultants are integrated in a tightly knit information network with SAP, yielding greater quality and more up-to-date knowledge to benefit customers. The certification exam for core modules consists of 80 questions, which lasts for 3 hours. The no. of questions/duration may vary for advanced area. The questions are objective in nature. These examinations are version specific and reflect the actual tasks of an SAP consultant. The exams are standardized worldwide and carried out under the supervision of SAP. Explain and implement various core business processes and functions in R/3 in one of the following application areas: Accounting, Controlling, Materials Management, Production & Production Scheduling, Sales Order Processing, and Human Resources. The result will be displayed in your screen after completion of the test. The candidates need to score 70% to clear the certification. You will be able to register and re-sit the exam one month after your first attempt. You will receive the certificate from SAP AG in Germany within 4 to 6 weeks by post. An Attendance Certificate/ Course Completion Certificate will be provided on the last day of the training. A maximum of three exam attempts is permitted – with each attempt exam fees will be incurred as applicable. If a student has failed all three-examination attempts then the only means available to gain certification will be to completely retake a full academy at 50% the fees (subject to SAP approval).